Poloroid L7 and L10 specifications: Polaroid company is best known for itsÂ making instant cameras has updated its L series tablet lineup with the addition of a couple of new devices. The companies new tablets named L7 and L10, both are currently on display at the ongoing Consumer Electronics Show (CES) in Las Vegas. Both tablets L7 and L10 being affordable devices should go on sale in the US sometime this spring and for other companies at the time of this year end. Company has yet not revealed any of the internal features but yes some features are revealed out by seeing both the products. 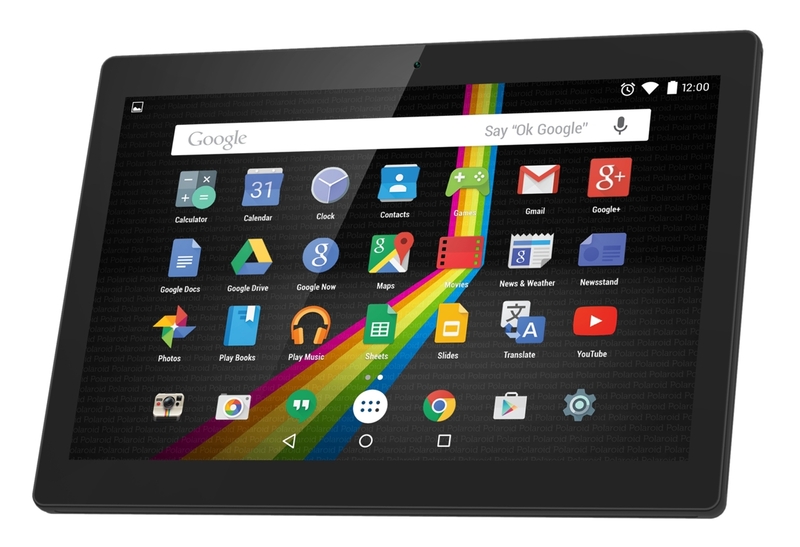 Polaroid L7 and L10 specifications, price, pros and cons and review of the tablets at CES 2015 is detailed in this post. Polaroid L7 is 7 inch display and is a handy tablet which looks like a Phablet and a smartphone like Sony Experia T2. But the tablet has a bordered view and looks some like bulky and heavy to hold. The other Polaroid L10 has 10 inch display as the name suggests. Both the tablets are revealed out to be at the same specifications and at the same OS and dimensionaly are different as its screen size resembles its dimensions. but the thickness is also same. we think that the company has revealed its screen size then how will it sell and launch in the market. Whether its on the same time or with a gap of some months. Lets see the other details such as Performance, camera and the pros and cons of the polaroid L7 and L10. Both the tablets are revealed out to be working on android 5.0 lollipop with and update of 5.1 android version. Also the quad core processor machine is fitted in both the devices. But the main drawback to be looked into is that the quad core is not of Qualcomm. The company is yet to reveal its all the internal details on the launch of the tablets. The features that the company has revealed out are of the same type which the tablets already contained in and are also launched in the market. Only the android 5.0 lollipop is different as it is launched recently.Â Thereâ€™s no word on the display resolution, the amount of RAM, or the internal memory that the L7 and L10 are offering. So still waiting for the company to respond. The company has not answered anything when asked about the camera features but the company gave an idea about the both. The rear camera of both the polaroid L7 and L10 are Â HD versions and the front camera would also be the HD one. The display resolution,ppi pixel density and the HD pixels are yet to be revealed by the company. Both the tablets L7 and L 10 are priced at 99$ and 149$ respectively. Both the devices are similar in the working and specifications. Only the 50$ high price is for a better and bigger display. The color variant is only black for both the tablets.